.:. What is Copper Toxicity? .:. Copper Toxicity is a condition where the copper in a person's body is out of balance. This imbalance can lead to devastating physical and emotional symptoms that often go undiagnosed for years. With the use of modern birth control, Copper Toxicity is becoming increasingly common yet is often misunderstood within modern medicine. This makes the healing journey difficult for most women. 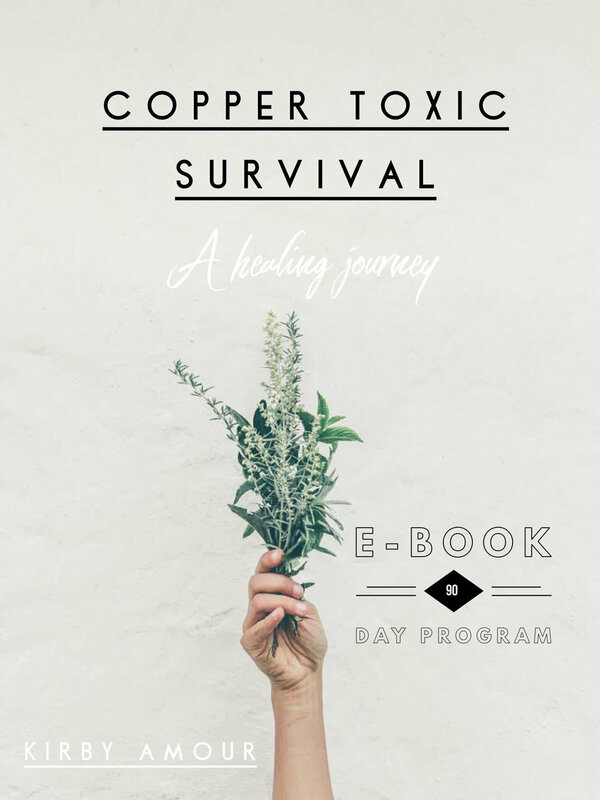 After discovering my own copper imbalance and healing, I've started helping women who are setting out on Copper Healing Journeys through my online healing protocol Copper Toxic Survival and my coaching services. My goal is for no woman to suffer alone from this illness. Detoxing from copper is often a long and difficult process that takes massive dedication. While every person's Healing Journey is different, there are set steps associated with every plan that include: identifying the source of copper overload in the body, building a support team around yourself, consistent testing and following a personalised nutritional balancing programme. Detoxing and recovering from Copper Toxicity is no easy feat – symptoms of the detox can be worse than the copper load, meaning many people will stop the process long before they heal. This creates a damaging and painful cycle but, with the right knowledge, support, and team helping you on your journey you're more likely to succeed. You don't have to do it alone! .:. 90 Day Programme . :.